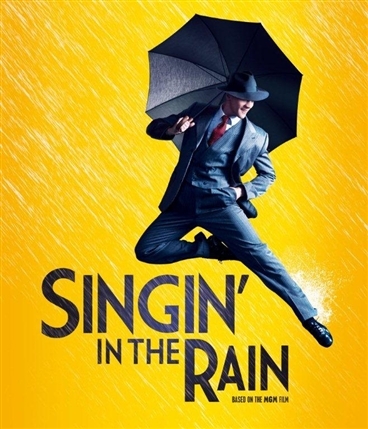 This stage adaptation of Singin’ in the Rain, the classic 1952 movie musical starring Gene Kelly and Debbie Reynolds, about a silent movie company struggling with the rise of talkies, first caused a buzz at the Chichester Festival Theatre last summer. 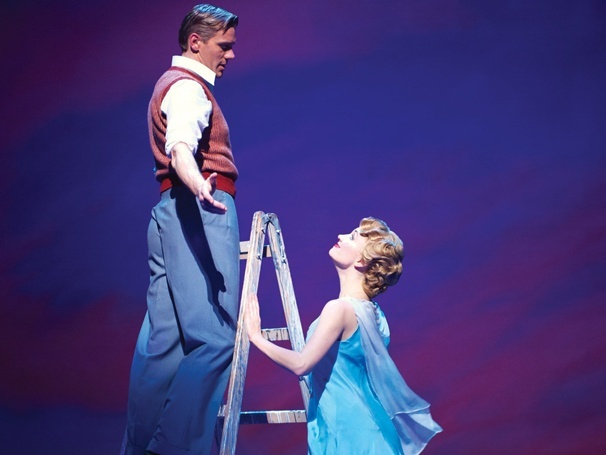 The musical score, including the famous title song, is written by Nacio Herb Brown and Arthur Freed. Choreography is by Andrew Wright. 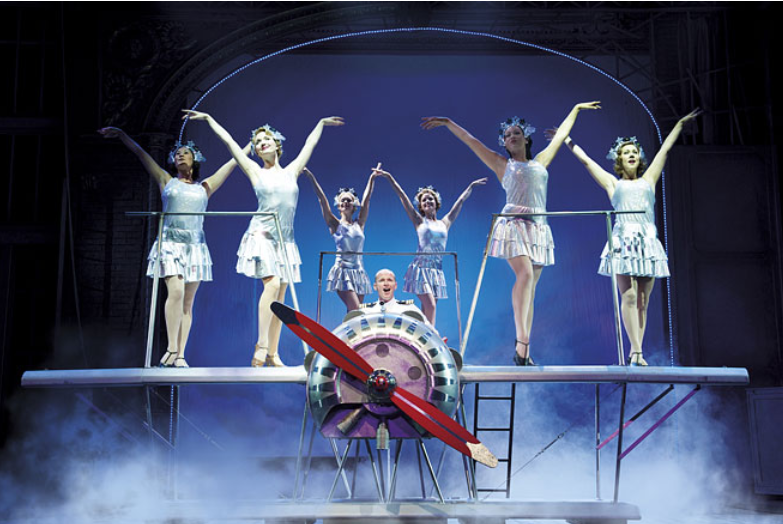 Any stage version could never eclipse the technicolour wonder of the original film, but this new production is crowd-pleasing stuff. Standing ovation inducing stuff in fact! 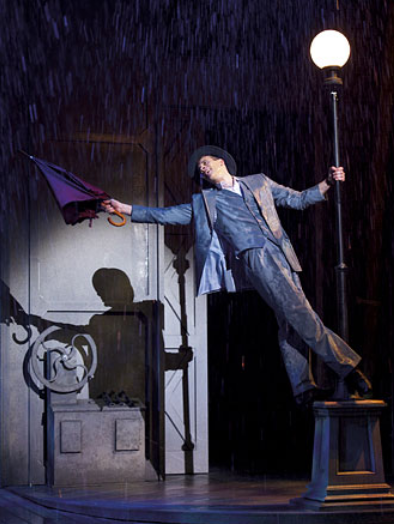 Renowned ballet dancer Adam Cooper plays the hero of the piece, Don Lockwood. 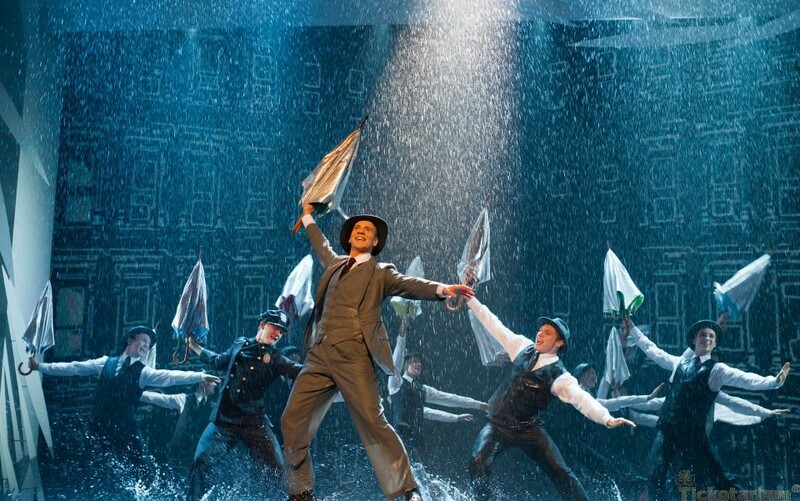 I have always adored Cooper’s dancing and Andrew Wright’s inventive choreography brings out the best in Cooper’s sinuous frame, he is pure poetry in motion. 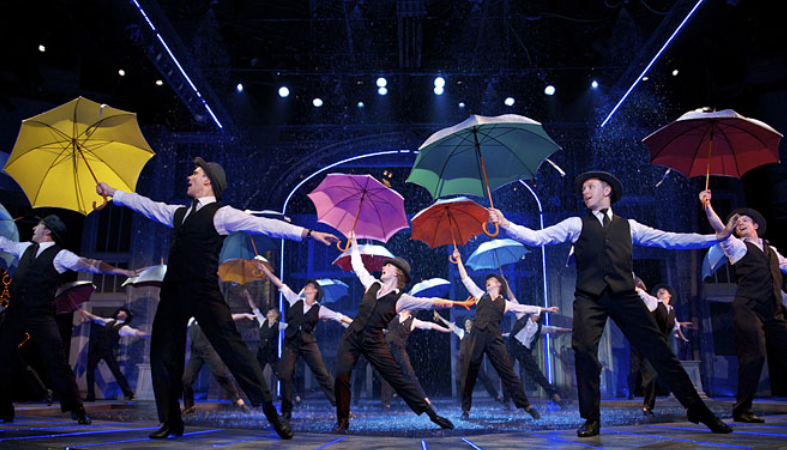 The title tune, where Cooper’s sodden steps send rain splashing (deliberately) into the front rows is classic musical theatre at its best – just sheer joy and sheer elegance. The rest of the cast are superb too, Katherine Kingsley (above) has an appealing comic touch as the ill-fated silent film actress Lina Lamont, Don’s on-screen romantic partner, whose career falters when microphones expose her ear-bleeding vocals. 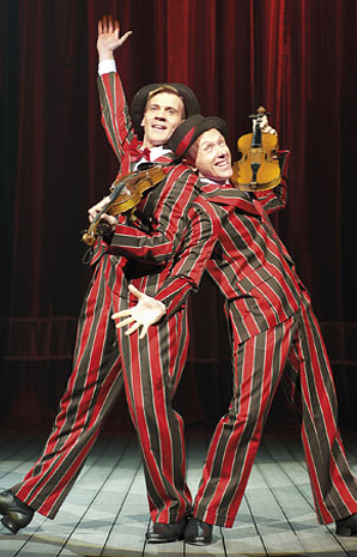 Daniel Crossley (below right) plays best buddy Cosmo Brown with great comic timing and physicality. 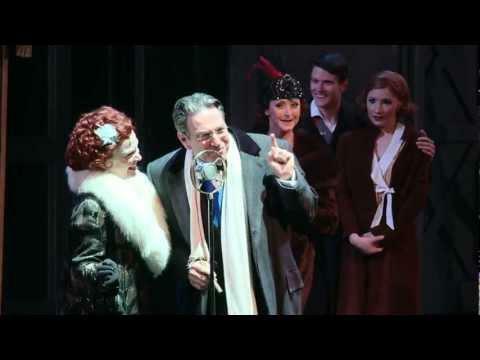 Michael Brandon, Sandra Dickinson and Peter Forbes provide able support as R.F. Simpson, Dora Bailey and Roscoe Dexter. 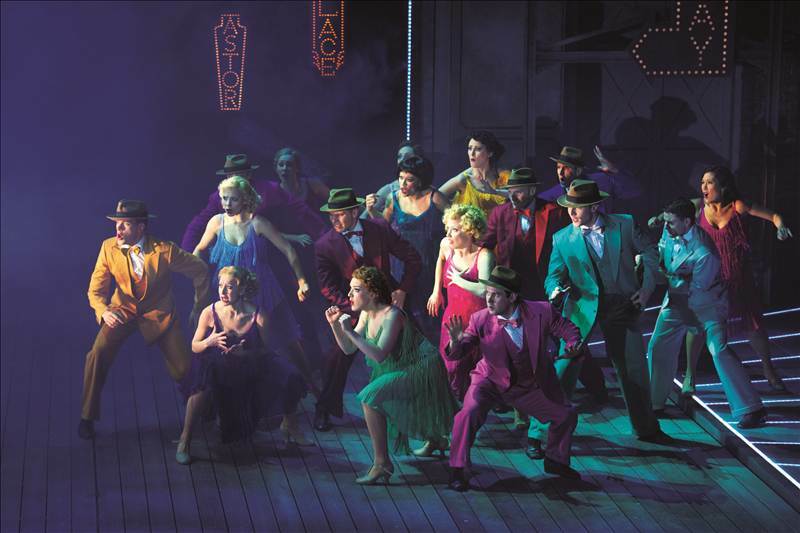 The Broadway Melody number (below) is another highlight of the night, showing off not only Cooper’s virtuoso dancing skills, but the rest of the cast’s as well. 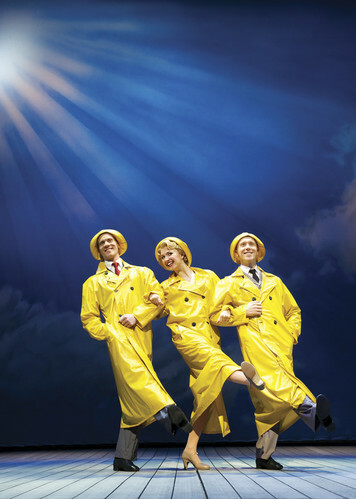 The staging is a dream and the show provides three hours of the most perfect Prozac pick-me-up escapism you could want. What I loved most was the fact that the whole thing looked absolutely effortless, there wasn’t a bead of sweat on any brow, despite being end to end high octane energy. 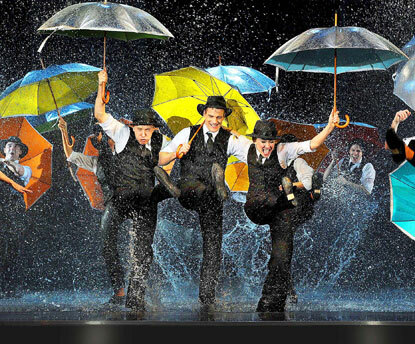 And the sheer delight on the faces of the cast as they soak the front rows in the encore is a hoot (below). 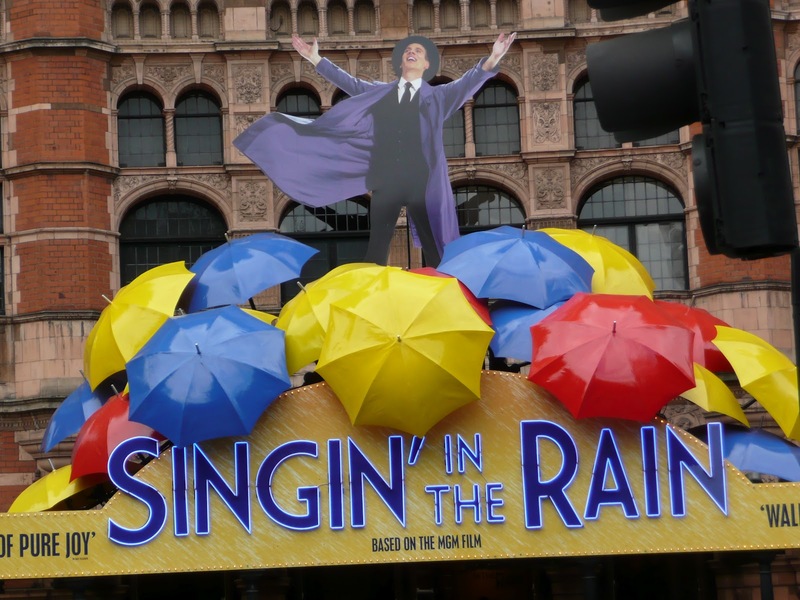 This is sheer class – a real triumph and the closest you will come to re-capturing that golden-era of Hollywood musicals today. 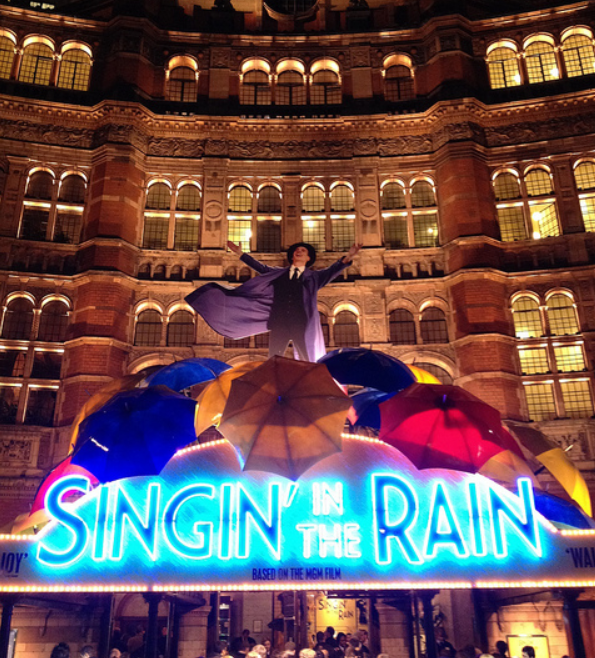 A real triumph – go see it!